We provide professional advice to customers and are involved in a wide range of projects in partnerships with companies who have special needs and where there is no previous solution to adopt. We are able to offer a comprehensive design service to all customers including detailed structural drawings and calculations, in support of our method statements. We use qualified and experienced design engineers who have worked on a wide range of structures and are experienced at working within the confines and time constraints of processing plants etc. 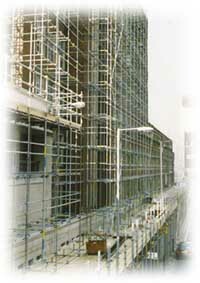 Our scaffolds are designed and constructed to EN ISO 12811/1. 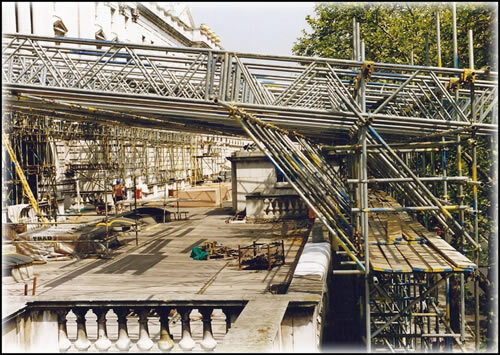 From the simplest access scaffold to the most complex structure why not call the professionals, and let us deal with your requirements! Where appropriate the engineers use the latest CAD design technology, and are practical people with hands-on experience of scaffold structures.